Jacqui Conrad is the Vice President of Marketing, Communications & Public Relations where she oversees all of the communications, marketing, advertising, and events that promote, enhance and protect the college’s brand and messaging. She is responsible for the development, integration, and implementation of a broad range of public relations activities that support the strategic direction and positioning of the College as a pioneer in adult learning. Under her leadership the department is responsible for the College’s varied and integrated communications products including newsletters, promotional marketing collateral, print publications such as the alumni magazine, the website, and digital media. Prior to joining Cambridge College, she was the President and Founder of delaCruz Communications, a consulting firm that specialized in multicultural marketing and communications, ethnic media relations, community relations, fundraising and event management. Jacqui has over twenty years of experience in the field of strategic marketing and communications, public relations, community relations, and event management. Jacqui also served as the Executive Director for the Latino Professional Network where she increased sponsorship allocations by seventy percent through online engagement, rebranding, high profile events, and corporate sponsorships that supported college scholarships for Latino high school students. 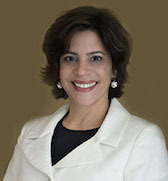 Jacqui serves on the Board of Directors for Mass Mentorship, Inc., and Inquilinos Boricuas en Acción (IBA). Previous board affiliations include the Massachusetts Health & Educational Facilities Authority (MHEFA) where she was appointed by former Governor Deval Patrick; ROCA, and the Dimock Community Health Center. El Planeta Newspaper named her one of “The 100 Most Influential People in the Latino Community, and she is Co-Chair of the State of Black Boston, a research and community development initiative that analyzes the social and economic issues affecting Boston’s black population. Jacqui holds a Bachelor of Arts and Sciences in Sociology from Suffolk University and a Masters of Science in Communications Management from Simmons College Graduate School of Management.